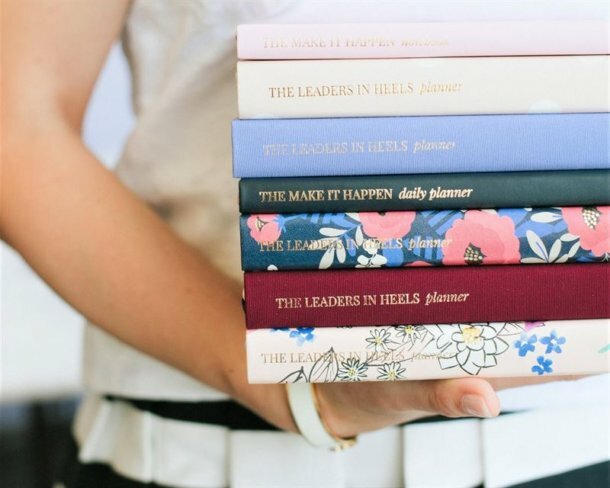 Leaders in Heels is an online community and a stationery brand created to nurture, inspire and empower women. We design inspirational notebooks, journals and planners to help women cultivate the habits of successful leaders and to encourage them to go after their dreams and make their mark on the world. We would love to invite you to join our affiliate program. As an affiliate for Leaders in Heels you will be eligible to earn a 7-15% commission on every sale that you refer through our website. Register to be an affiliate on this page. For the Payment Email enter your Paypal Email so we can pay you. We only make payments via PayPal, so you will need to sign up for an account if you don’t have one. Payment will not be made through any other methods. You will receive an email with your affiliate dashboard login details. In your affiliate area, you will find promotional banners and images for our products that you can use on your website or social media, along with your unique affiliate link. You can share your affiliate link via email and/or social media. You can also add our banners to your website and refer customers directly to our shop. Once someone makes a valid purchase through your affiliate link, you’ll receive an automatic notification and we’ll send a commission payment to your nominated Paypal account after a 60-day review period. Payments occur on the 1st of each month. 60-day review period is necessary to ensure there are no returns, before the commission is paid. Cookie days is 60 days. This means you will earn a commission if a customer clicks through via your affiliated link and makes a valid purchase in the following 60 days. If a customer is referred by more than one affiliate, the last affiliate who referred the customer will be credited for the successful purchase. Shipping costs and taxes are excluded from referral calculations. Commissions are calculated and paid in AUD. They will appear in your PayPal account in the currency your account is in. Leaders in Heels is not responsible for currency conversion fees. Self-Referrals are not eligible and commissions will not be paid out. “Self-Referral” refers to any purchase made by the affiliate using their own unique link. This includes shipping purchases to a friend or relative of the affiliate. For this purpose, please use our Referral Program (sent to you post-purchase) to receive a referral award when you refer friends or family who purchase on our website. Affiliate Commissions are not eligible on returned items. Any attempt to cheat or game the affiliate program will result in the affiliate’s immediate removal from the program, with no commission paid.